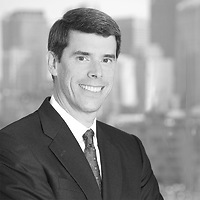 David L. Ferrera, a partner in Nutter’s Litigation Department and chair of the firm’s Product Liability and Toxic Tort Litigation practice group, commented on Mass Legal Answers Online, a legal advice website recently launched by the Massachusetts Law Reform Institute, in Massachusetts Lawyers Weekly. The article, “New website provides convenient option for pro bono service,” outlines how the website provides low-income Massachusetts residents the opportunity to post legal questions concerning civil matters and have them answered by volunteer attorneys confidentially and securely. One of the website’s earliest volunteers, David has handled landlord and tenant matters through the pro bono service, including helping a disabled woman understand her rights before she signed a lease. He notes that his personal goal is to field a question from a client once a month. “It won’t take the place of full representation. But many people just need their question or problem translated into legalese and then translated back into a way that helps them, and then they can move on,” David said.